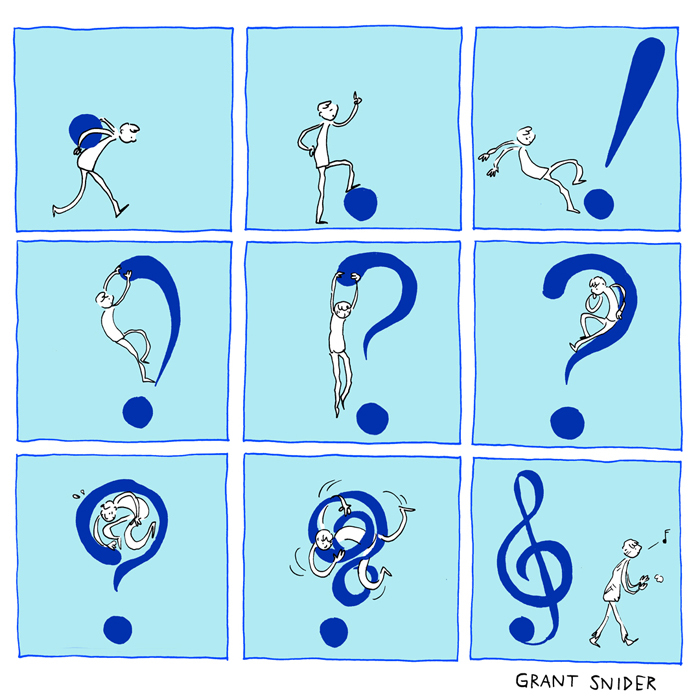 This comics appears in the latest issue of The Southampton Review. 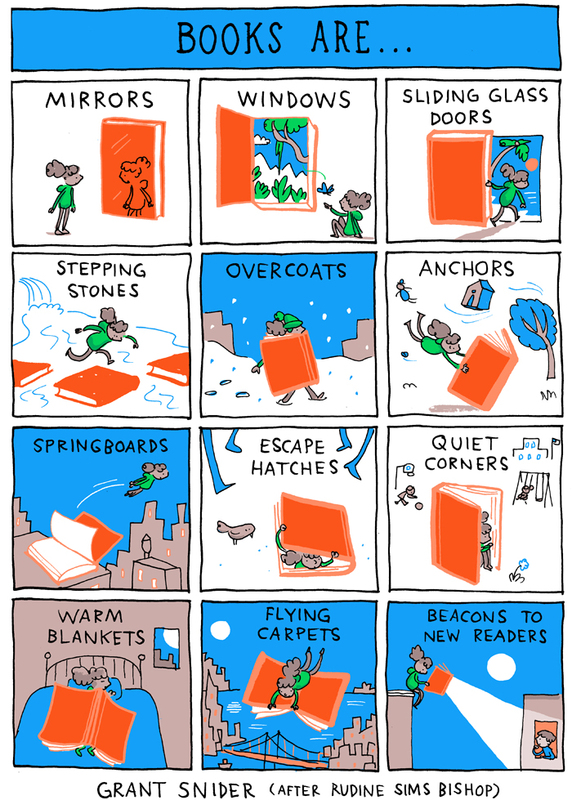 For more on books as windows, check out Rudine Sims Bishop's essay and interview that inspired this comic, as well as this TEDx talk by Grace Lin. 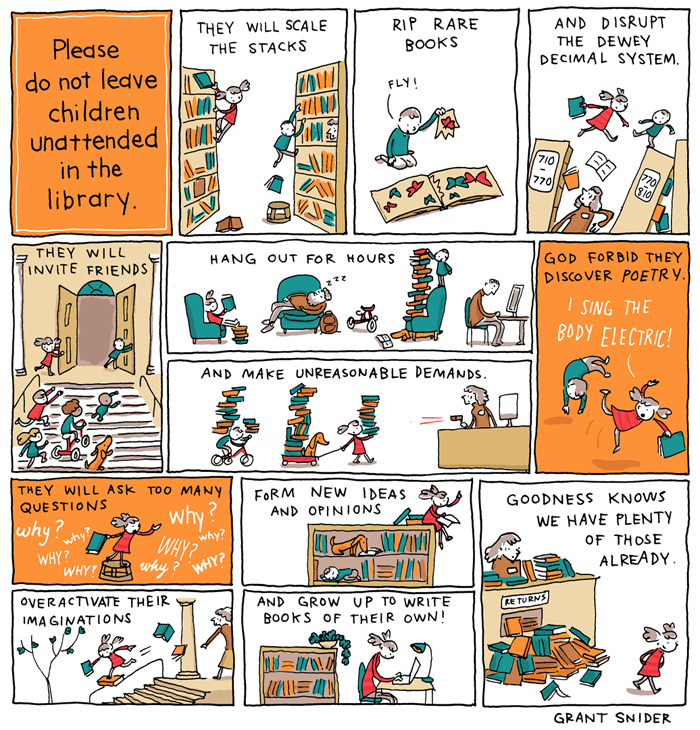 Please do not leave children unattended in the library.